Texas Senator expresses support for IDF's Operation Northern Shield. 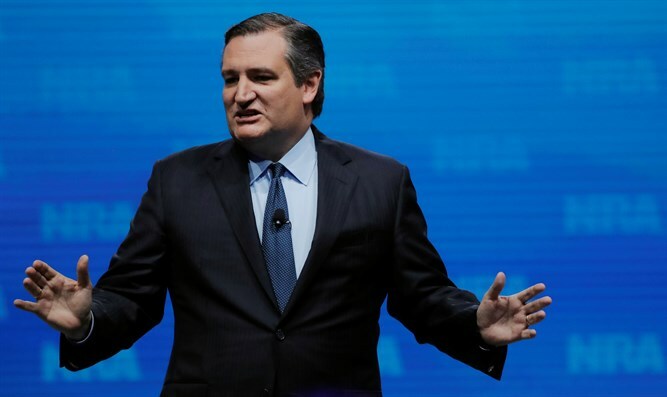 US Senator Ted Cruz (R-TX) on Monday expressed support for Operation Northern Shield to dismantle the terrorist tunnels being dug by the Hezbollah terrorist organization. “Israel has the absolute right and obligation to dismantle the terror infrastructure that Hezbollah has built in preparation for infiltrating its northern border and attacking its citizens, including the attack tunnels targeted this week by Operation Northern Shield,” Cruz said in a statement. “Hezbollah has built these attack tunnels from inside homes, where they also use Lebanese civilians as human shields for their rockets and missiles, of which there are roughly 150,000 pointed at Israeli civilians. I encourage Congress to pass and the president to sign my bipartisan bill to impose sanctions on Hezbollah and Hamas, along with their enablers, for using human shields,” he continued. The IDF announced on Tuesday morning that it had launched Operation Northern Shield to thwart and neutralize cross-border attack tunnels dug by the Hezbollah terror organization from Lebanon into Israel. In a statement to the press Tuesday evening, Prime Minister and Minister of Defense Binyamin Netanyahu said that the IDF activity on the northern border will continue until all the objectives are achieved. “These cross-border terror tunnels were built by Hezbollah with direct support and funding from Iran. They were built with one purpose in mind – to attack and murder innocent Israeli men, women and children. This is a grave violation of Israel’s sovereignty, and a gross violation of UN Security Council Resolution #1701. It is an unacceptable act of wanton aggression,” said Netanyahu. US National Security Advisor John Bolton issued a statement in support of Operation Northern Shield. "The US strongly supports Israel's efforts to defend its sovereignty, and we call on Hezbollah to stop its tunneling into Israel and to refrain from escalation and violence. More broadly, we call on Iran and all of its agents to stop their regional aggression and provocation, which pose an unacceptable threat to Israeli and regional security," he said.